The garden is already starting to explode! This is yesterday’s crop of zucchini and green bell peppers. Soon we’ll also have a variety of onions, eggplant, tomatoes and all kinds of other peppers and green beans. Yummy! 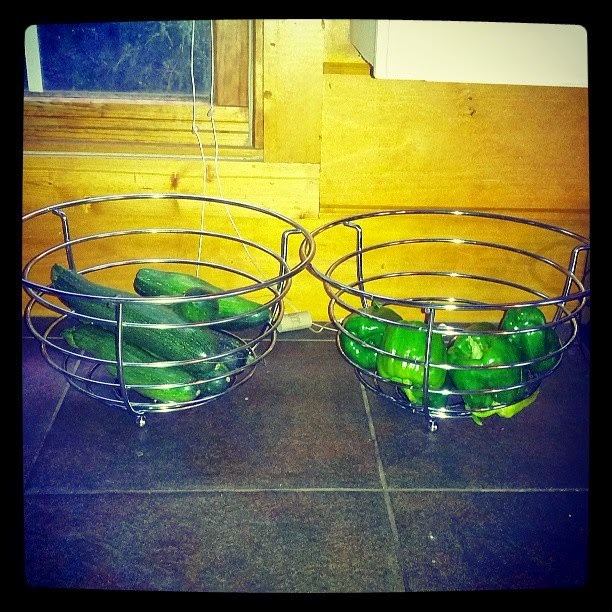 I bought four of these awesome, large wire fruit baskets for all our garden goodies!